One of the greatest marriages in jazz history! 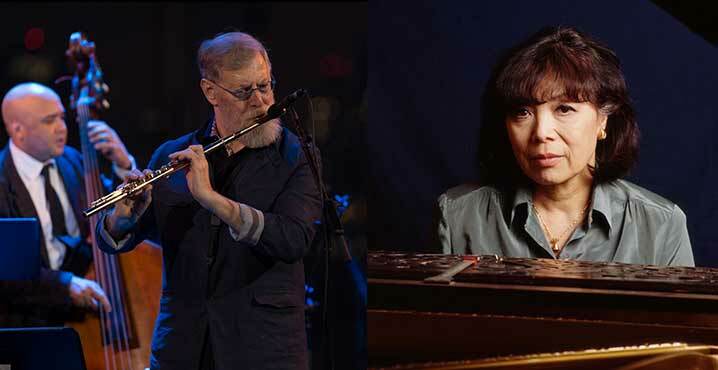 NEA Jazz Master pianist Toshiko Akiyoshi and virtuosic saxophonist-flutist Lew Tabackin are a treat for the ears at NJPAC's jazz brunch series at NICO Kitchen + Bar. These acclaimed musicians have been swinging jazz in various formats, from small groups to big bands, since the Sixties. Toshiko Akiyoshi is known for challenging and full-textured arrangements that sometimes evoke her homeland, Japan, while Lew Tabackin is recognized for his dedication to showing the full range of possibilities of his instrument -- melodically, rhythmically and dynamically. The couple have established distinctive sounds and styles over careers that have spanned more than five decades each. 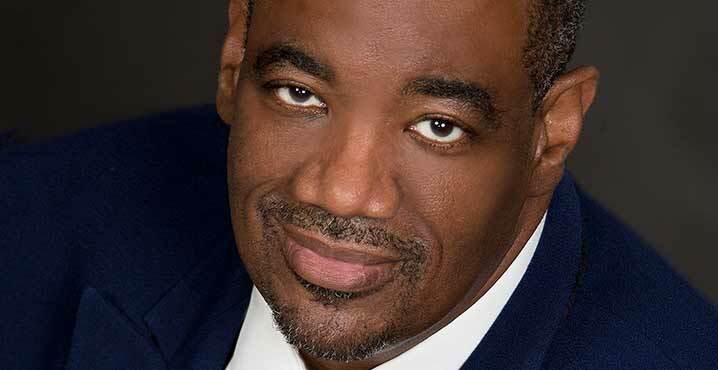 Kevin Mahogany, the renowned jazz baritone from Kansas City, performs in NJPAC's Sunday brunch series at NICO Kitchen + Bar. With more than 10 recordings as a leader, vocalist, businessman and educator, Kevin Mahogany has been the standard setter for jazz vocalists for three decades. Newsweek called him "the standout jazz vocalist of his generation." In his hometown, he learned to swing like Charlie Parker, shout the blues like Big Joe Turner and cry a ballad like Lester Young. He elaborates and refines the jazz vocal legacies of Lambert, Hendricks & Ross, Eddie Jefferson and Al Jarreau into myriad dimensions of music -- from gutbucket, the Great American Songbook and gospel to Mingus and Motown. Jersey-based frontman, singer and harmonica player Rob Paparozzi brings a wide range of musical styles to NJPAC's jazz brunch series at NICO Kitchen + Bar. Rob Paparozzi has been a blues performer since 1967, but is at home playing music from rock to blues and jazz to pop. This versatility is reflected in the remarkably diverse list of artists he has worked with, including B.B. King, Bruce Springsteen, Whitney Houston, Culture Club and James Galway. 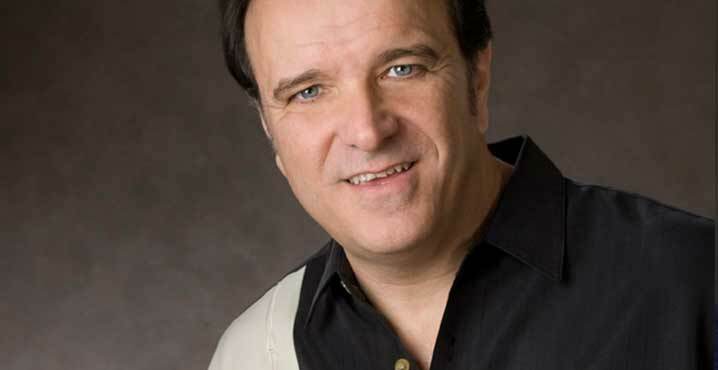 A former lead singer with the band Blood, Sweat & Tears, Paparozzi has been touring the world with the Original Blues Brothers Band, featuring guitar legend Steve Cropper and special guest Eddie Floyd, and leads the Rob Paparozzi Band. The accomplished guitar duo perform American Songbook selections and classic 1930s guitar duets in NJPAC's Sunday jazz brunch series at NICO Kitchen + Bar. 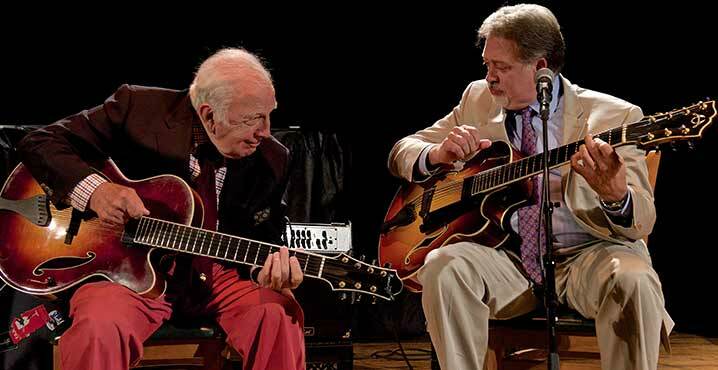 Born in Paterson in 1926, Bucky Pizzarelli is a world-renowned jazz guitarist. His career spans over 70 years, from the Vaughn Monroe Orchestra to The Tonight Show with Johnny Carson. In 2011, Pizzarelli was inducted into the New Jersey Hall of Fame and a year later he recorded with Paul McCartney on his latest Grammy-winning album, Kisses on the Bottom. Ed Laub is a locally acclaimed guitarist and vocalist whose style has been compared to a blend of Kenny Rankin, Chet Baker and James Taylor, all accompanied by Bucky Pizzarelli. Because of Laub's talent as an accompanist, and the fact that he is one of the more accomplished seven-string guitarists, he is sought by many of the top guitarists in the New York metro area to back them up and add a pianistic style that makes a duo sound more like a trio.